This is Part Two of an animated Godzilla trilogy now being made available by Netflix. I wasn't that impressed with Part One. 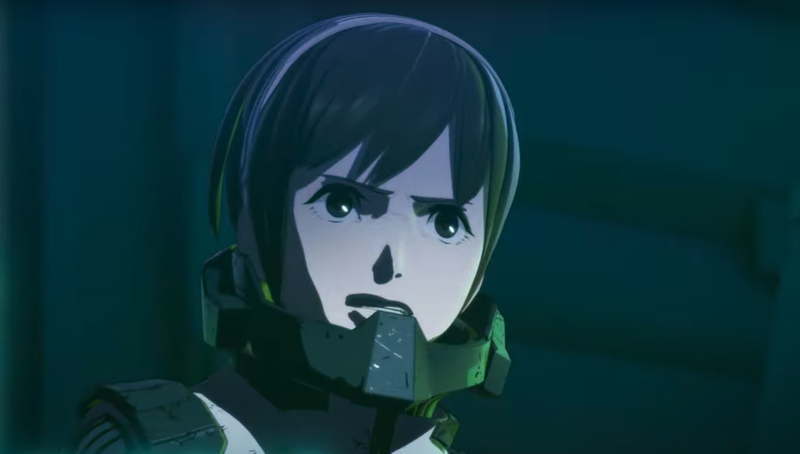 Still, fresh from the excitement of the "live-action" Shin Godzilla, I was curious about this animated Part Two from Toho Animation Studios and Polygon Pictures. My verdict: Part Two is much better than Part One. This time we are not cooped up in a bleak spaceship much of the time and we experience what Earth might look like after 20,000 years of management by Godzilla. Dialog contains less distracting technobabble and more about the conflicts among the multiple humanoid races now visiting future Earth. It’s easier to tell characters apart even when they are the same size. There are new and interesting characters. Godzilla when it finally arrives is absolutely AWESOME. I recommend seeing Part One before Part Two. The Part 2 story will make more sense. Plus, I'm now curious about what will happen in Part Three given the oh-so-Japanese reveal in the final seconds of Part Two. As I noted in my Shin Godzilla review, what you will see here is definitely not “your father’s Godzilla.” It does help, though, if you have a rudimentary knowledge of Japanese kaiju (monster) movies from Toho and legendary director Ishirō Honda. We here in the U.S. have a perception of Native American culture that sometimes emerges via stale or stereotypical images. Some older Japanese monster movies also represent primitive Pacific island cultures via stereotyped clothes and behavior. In this Godzilla movie, for example, the future human residents of Earth are mystical, they use body paint, and they inhabit a jungle-like environment. At least in Part Two these “primitives” are given an opportunity to provide the high-tech "sky people" from space a possible solution to the Godzilla problem! Also, as was the case in Shin Godzilla, there are relatively few female characters in this movie, even though one does play an important role in action sequences. Much of the really important expository discussions take place here among the males of the multiple humanoid species that have returned to the earth after 20,000 years with few if any females present. At least with the "primitives" already on Earth, females play consistently important leadership roles. As in Shin Godzilla, though, important executive and expository meetings are heavily male-dominated. Click below for a slide show of screen captures from the trailer.